Everything is free or PWYW. Solo gaming deluxe for free. Generated with Adventuresmith. 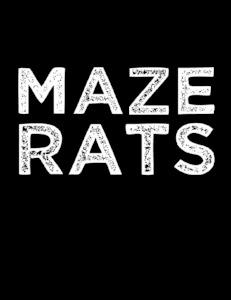 Maze Rats has random tables en masse. There was a landslide and the party can't pass the road. They must hike through the wilderness. Can they arrive at the village without losing some equipment due to the harsh conditions? Success, they arrive grumpily but safely. The recent landslide has soured the mood of the people. Even if they are wary of strangers, they need help. The villagers mention some old burial mounds. Old Mintorp (who lives near these mounds) has gone missing. But it probably just was the landslide. Perhaps the party can search for the old man? They have some useful fungi which can be used as ingredients for potions or spells. They also have a recipe for a healing salve. Old Mintorp has broken his leg when he gathered herbs at the burial ground. He is glad to see the adventurers. Stilton asks: "We have heard some weird stories about this mound. Did something happen here?" Old Mintorp explains that he has often seen a ghost, probably the remains of the buried king. He hasn't harmed humans so far. The PCs decide to transport the old man back before they look at the burial ground in detail. Can the party get back without hindrances? Another survival/tracking check as they are encumbered with the old man. It's difficult to find back their way. HP loss or item loss? Exhaustion sets in, everyone loses 1 HP. Zatep, the villager who runs the small tavern, is glad to see that the party is back. He treats the three adventurers to a stale ale and gives them their reward. They eat a meager meal. The PCs ask around for a place to stay. The villagers are not keen to accommodate strangers. They have lots to do as the landslide has brought trouble. But the PCs have rescued one of them. One of the farmers offers his barn. Not much action. I thought there would be some fight with a monster at the burial ground. In hindsight, this was more like a pre-quest to gain the trust of the villagers. I like Maze Rats although it didn't feature strongly in this adventure. The random characters are colorful because of their mannerism, background etc. The system is super easy and rules-lite, exactly my cup of tea. ranDM solo (v0.9.2) is a neat HTML doc. It offers the most important functions to play solo. The "save button" doesn't work reliably if you close the tab. I didn't use the "reverse log" so that new text is entered below. But when you create a new scene, it is entered above the previous text. Minor nuisances. It is a simple and powerful free web app. The adventure has the potential for a solo sandbox. I think I could use some generators the next time to create more hooks. The most important thing: it was fun and with ranDM solo, I could move the game forward without book-keeping and without losing momentum. CRGE-Kai, the engine I used, helps to facilitate the game without putting a lot of creative pressure on me. This is often a problem for me. I don't know how to continue a game and how to interpret the engine's result. Then everything is too much of a hassle and I stop. Not the case with this system. Great! P.S. Don't forget to check the other resources for solo role-playing.